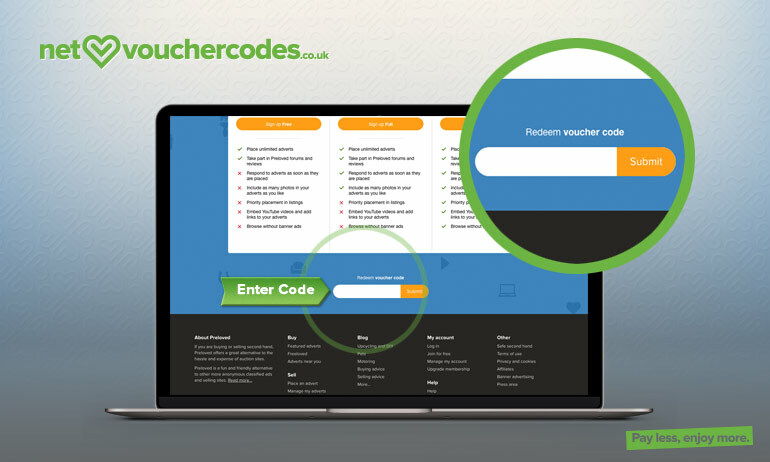 Where do I use my Preloved voucher code? Pick a code or deal you would like to use, click the lick and copy the code and head over to Preloved. Shop as normal and pick any items you would like to buy in your area. You can enter the code into the section shown above. Any discounts will be automatically applied should you not need a code. 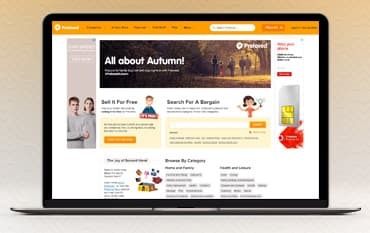 Preloved began in 1998 and has grown to become one of the largest classified advertising sites in the UK with hundreds of thousands of adverts in over 500 categories. Start your membership today and sell and buy items for free, with no catches, allowing you to make someone’s day with a one of a kind bargain, and to save money on your own purchases. One of Preloved missions is to help reduce the amount of household furniture that goes to landfill, making people aware of the merits of reusing and recycling through easy second-hand buying and selling services. And it’s not just furniture either, at Preloved you can shop for home and family products including everything from jewellery to pets to care and support as well as health and leisure products, motoring, computing, property and accommodation, travel and holidays, office and business, employment, education and learning services, trades and services and personal products. To start your search for any one of these products or services, simply type your postcode into the search box on the ‘In Your Area’ page, and then browse the list of items that could be collected from your neighbourhood in minutes. If you want some inspiration, or want to feel part of the Preloved community, why not read the blog pages or join the conversation on social media, where you’ll also be alerted to newly listed items for sale. Preloved isn’t just about buying and selling second-hand items, it’s all about community too. Which is why you’ll find a great blog on the pages on the Preloved website. Here, you can browse interesting articles that give advice about how to look after pets, what to do in your garden month by month and home style tips like how to tell the difference between Mid-Century Modern and Scandi furniture. You can also find information on great causes like the Preloved and RSPB big garden birdwatch, how to reduce your plastic waste and how to swap n shop your unwanted gifts for Action for Children. Let Preloved help find a loving new home for your pet. They’ve got 1000s of loving homes waiting in your local area. You can place an ad completely free of charge for private sellers - no listing fees, no selling fees and no catches. Or, if you’re looking to buy, browse pets for sale using the categories list, or via the search bar. Find all sorts of pets including dogs, cats, birds, reptiles, rabbits, rodents, fish and much more! You can also find animal welfare and rescue pets, pet accessories, kennels and catteries and other animal services. Don't forget to join the Preloved Pet community for pet tips and advice and to keep checking back for new animal advertisements so you can find your perfect forever friend with Preloved. Make money fast and find a new owner for your used car with Preloved classifieds. Private sellers can place an ad completely free of charge - no listing fees, no selling fees and no catches. If you’re looking to buy a second-hand car you can also find thousands of affordable, used cars at Preloved. From the reliable BMW to the characterful Mini, Preloved has it all! Maybe you're more interested in a Morris Minor or an MG? If so, check out the classic cars for sale page or search your ideal model in the cars category search bar. Once you’ve bought your second-hand vehicle, find expert advice on how a car check could reduce the risks of buying unsafe and fraudulent used cars on the HPI check article over on the Preloved blog. If you terminate your Preloved registration for reasons other than a breach, then Preloved will not refund to you any money. If Preloved terminates for reasons other than your breach, then they will, within fourteen days, refund to you the balance of any money which you have paid to them (and they have received) which relate to services to be provided (but not provided) after the date of termination. Preloved is an online-only auction service. If you’re having problems or have an inquiry please check the help page before you contact Preloved. If you can’t find an answer or a solution to your problem, then visit the contact page. Select a category that your query falls under and click next. You can then fill in the contact form which Preloved will aim to respond to within a few hours. Preloved is an online auction website that lets you can buy and sell items in your local area. From nearly new to really old, Preloved is packed with second-hand bargains in over 500 categories, a great way to get rid of unwanted goods and to save a fortune on pieces of furniture, clothing, electricals and much more. If you’re buying from Preloved, then use one of our Preloved voucher codes and save even more money on your bargain second-hand goods. 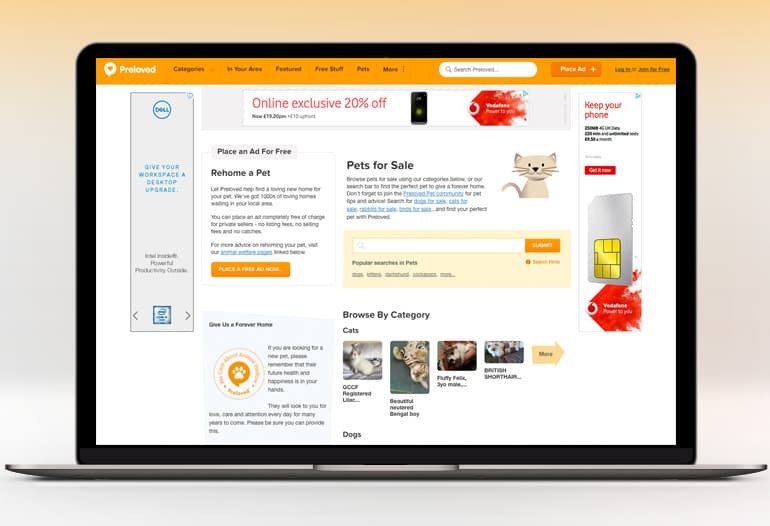 Whether it’s homeware, business products, trades and services or even property, you can advertise, buy and sell quickly and easily on Preloved.